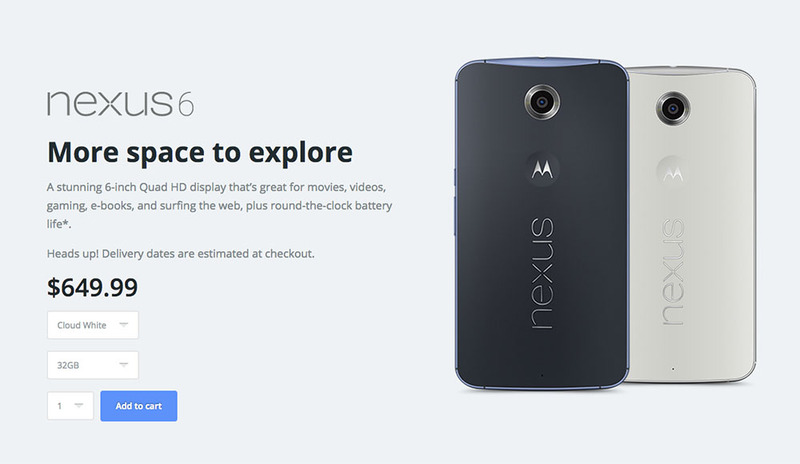 The Nexus 6 was announced in mid-October before arriving on select store shelves in November. It’s now mid-January, yet the device is still somewhat difficult to obtain, depending on where you are trying to buy it from and with what storage capacity. Motorola’s site has been much better about keeping stock than Google Play. That is once again the case this week, with both Midnight Blue and Cloud White versions (32GB) staying in-stock for a couple of days now. If you are still trying to pick up Google’s whale, here is another chance that may not last long.